Women's flyweight contenders Katlyn Chookagian and Jessica Eye have agreed to meet at UFC 231 in Toronto on Dec. 8. 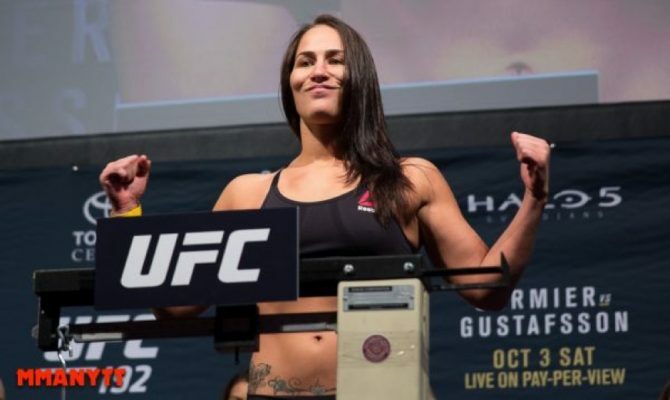 Women’s flyweight contenders Katlyn Chookagian and Jessica Eye have agreed to meet at UFC 231 in Toronto on Dec. 8. Sources close to the situation confirmed the news on Friday following an initial report from ESPN. The UFC has not made any official announcements regarding the fight but it’s expected that Chookagian vs. Eye will serve as backup to the co-main event where Valentina Shevchenko faces Joanna Jedrzejczyk compete for the vacant women’s flyweight championship. Eye has gone 2-0 since returning to her natural weight class at 125 pounds, although she was originally expected to return at UFC 232 on Dec. 29. Her opponent Sijara Eubanks was pulled from that fight and she’s now facing Roxanne Modafferi at UFC 230 instead. Meanwhile, Chookagian has won her last three fights in a row including two at flyweight and there’s little doubt that the winner of this matchup will be very close to a title shot at 125 pounds.